It has been three years since super typhoon "Yolanda" destroyed the Visayas region but still, there are some 200,000 victims that did not receive assistance from the government. 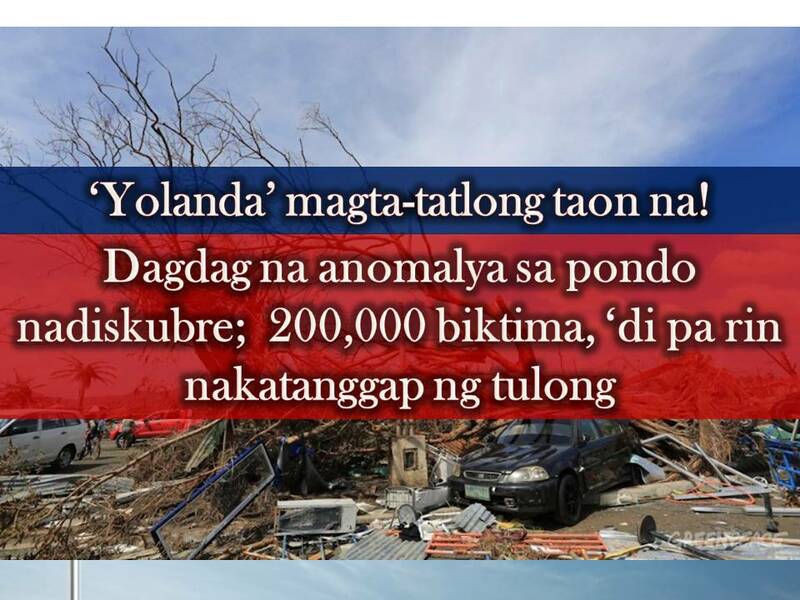 Social Welfare Secretary Judy Taguiwalo said, most of the victims come from Region 6 or the Western Visayas and 8 or Eastern Visayas. In-line with this, DSWD will submit a report to President Rodrigo Duterte on the alleged irregularities in government aid for the victims of Yolanda. She asked the president to initiate the investigation on the said anomalies. The reports include the DSWD's review of the multi-billion pesos donation for Yolanda and discriminatory treatment to the victims due to their political affiliation. “The money has gone to the people but there are cases of irregularities or non-compliance… The exclusion of emergency shelter assistance is widespread,” she added. With the request of the people, Taguiwalo said that DSWD started the assessment of Yolanda donation when she assumed office in July. “We are doing our best that the Yolanda experience in terms of delayed provision of emergency assistance should not be repeated,” she said. In an editorial of Emil Jurado in Manila Standard, entitled, "Anomalies Now Coming Out," he said former DSWD Secretary Dinky Soliman should answer this anomaly. He also stated that it is about time that those under former President Benigno Aquino, who misused the billions donated by foreign investors and institution should hold accountable and they should be charged in court. 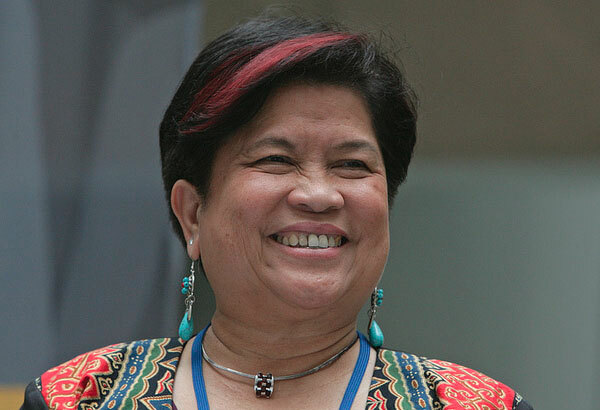 On the other reports, Soliman said, she is confident that she can defend herself against all the accusation since they have the complete records of the funds. The agency failed to deliver on time to Tacloban City P69 million worth of bottled water due to lack of transport (the DSWD has moved to cancel 56 percent of the purchase order). DSWD also overstated a number of family food packs it prepared in its Metro Manila center by P33.3 million. Supplies worth P58 million were spoiled or wasted due to improper storage, the COA said. 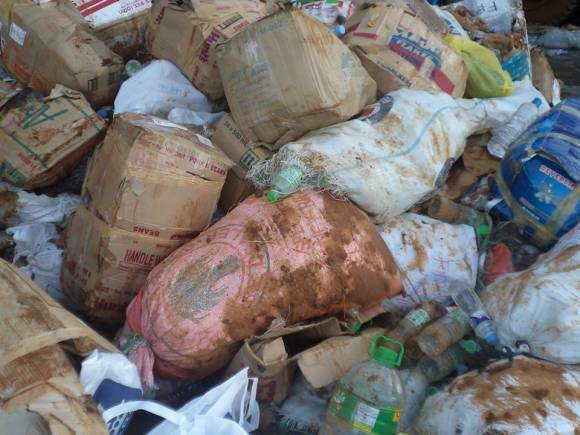 P2.783 million worth of food packs and 100,000 assorted canned goods, noodles and sacks of rice were ruined.